"In September, Gleason Corporation opened our web store with Palmer Promotions to handle all of our promotional needs on a global basis. Steve and his team came to Rochester, New York and listened to our concerns from all ends of our business. 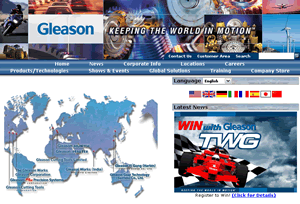 Palmer Promotions then developed a program for Gleason Corporation that is working very well. The start up of the web store was very smooth and the employees felt very confident with working with Palmer Promotions. In October we had a very busy month with trade whows and a Grand Opening of an operation in Harbin, China. We had called on Palmer Promotions with some very tight deadlines, and they were able to have the materials arrive in China in time for our Grand Opening. It is great to have a partner to work with that you can depend on at any given time to come through for you in a pinch." 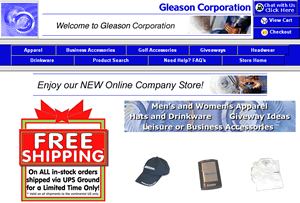 Palmer Promotions then developed a program for Gleason Corporation that is working very well. The start up of the web store was very smooth and the employees felt very confident with working with Palmer Promotions.